Miss Norway, Nina Elise was crowned as the new Miss Globe International 2011 during a pageant held in Famagusta, Northern Cyprus on December 30. The 1st run-up was Miss India, Parul Duggal. 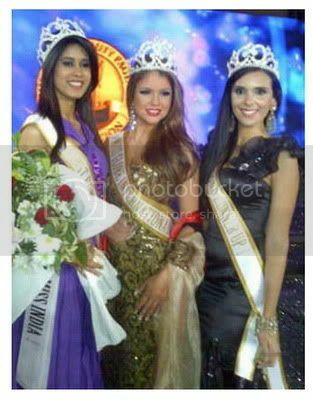 And the 2nd run-up was Miss Dominican Republic, Yudith Jimenez Gonzalez. Completing the 5 finalists were Miss Belarus, Anastasia Buracevskaea and Miss Kazakhstan, Alfina Nassyrova.